I like to search the web for recipes mostly, and I love being able to easily import and edit recipes in Prepear! The app also has good recipes through its search function, but I honestly mostly input recipes from the web or I’ll manually enter recipes from other apps, so I have everything in one place. 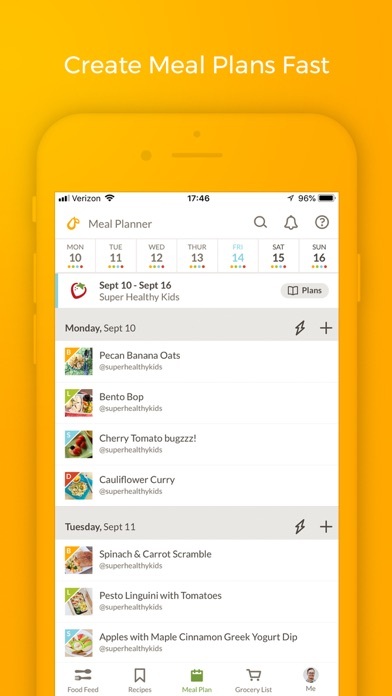 I also love being able to create a meal plan for the week in the app and then being able to generate a shopping list from those recipes. I love this app and highly recommend it. This is such an amazing app! It takes a little getting used to but once you do it makes life so much easier! I follow superhealthykids and all of their recipes are actually pretty healthy and it makes it very easy to choose what to feed my family of all ages. There are even some baby recipes too! I love this app. I use it to save and organize my recipes. It’s so easy to add recipes from the web or add my own. The grocery list feature is amazing; I only wish I could export it to my hubby who does most of the shopping. I’ve started adding non-food recipes too (I like to make my own soaps and detergents). The planner lets me pull it all together to organize my life. Thank you, Prepear! The app has completely frozen. I picked some meals then selected create grocery list based off my meal plan, and the app froze on me. I can’t even switch pages/screens. I’m very happy to be using Prepear. I’ve just started using this app about 2+ weeks ago. The free version does a lot. 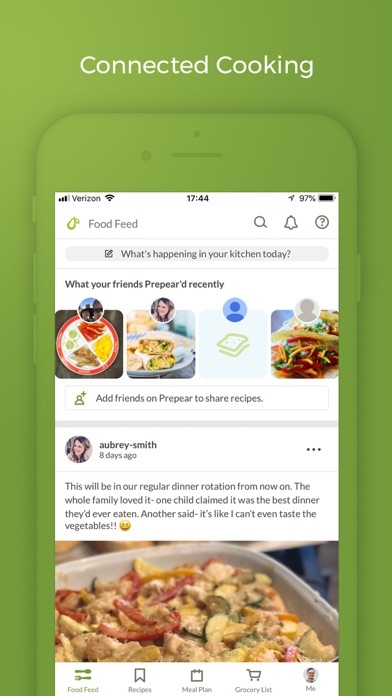 Create meal plans, shop with automatic grocery lists, and collect recipes and share with friends on Facebook. The two aspects I’ve really enjoyed so far are 1) the ability to find an online recipe and add it to this app using the import option. (You can manually add your own recipes too.) 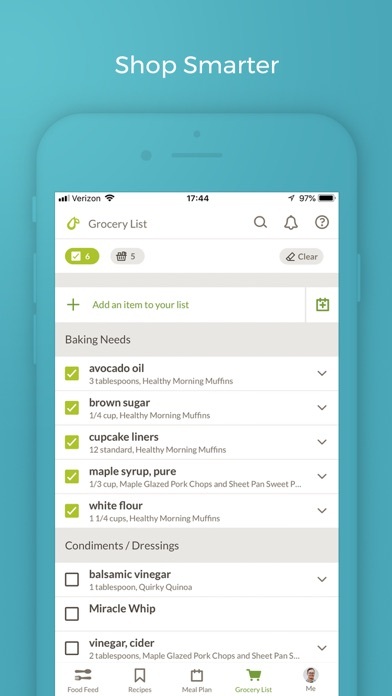 It also 2) adds items in the recipe’s list of ingredients to the grocery list with a single touch. 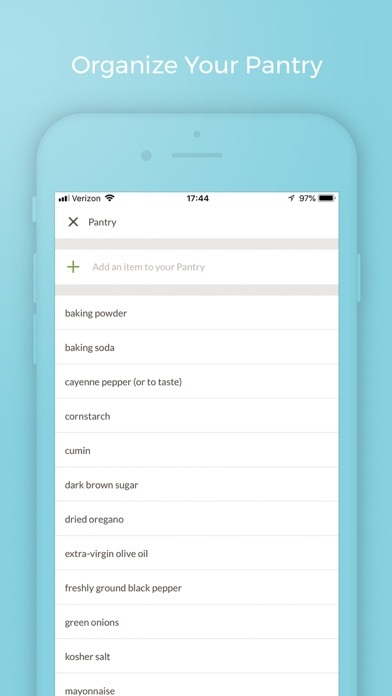 There’s a way to move items from the grocery list to the pantry if you already have them too. The paid version has prepared meal plans that are a little pricy at $9.99 a month but I got an introductory offer in an email for $1.00 and 90 days of meal plans. (I have done that but am not convinced it’s the right choice for me.) All the recipes are searchable and are free though! There are allergy (like shellfish) and diet (like gluten free) options too—quite a few of them actually. The only frustrations are glitchy procedural issues that have been reported but have not all been fixed. 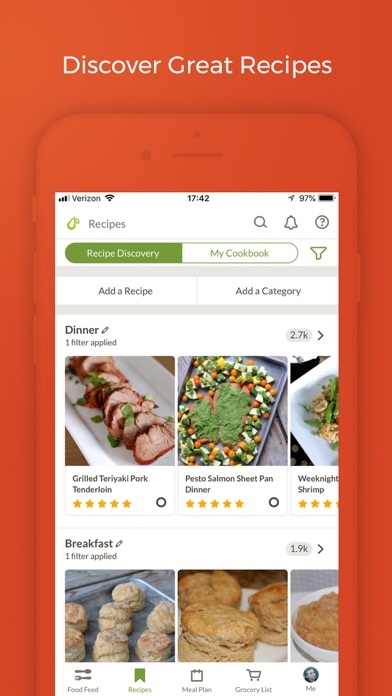 For example, when moving recipes the "right swipe" reveals menu options. However the revealed menu does not always disappear and results in the recipe not being visible. Exiting the app or rebooting your phone will usually solve this. Hopefully as the app matures these will be resolved. I love this app! Seriously, the way it was designed and put together is super intuitive, useful and beautiful. I’ve been looking for a great meal planning app for forever and have always been disappointed but not with this one. It flawlessly does what all the other apps wish they could do. I couldn’t ask for anything more! Full of great recipe ideas, easy to menu plan and create shopping lists. I use my ipad more than my phone and was sad that this doesn’t Go into landscape mode so I can use my keyboard. Any chance of this changing? I can search various food preferences, time it will take to prepare the meal, modify recipes, save my favorite meals and assign them to days to make meal planning easy. I love this app! 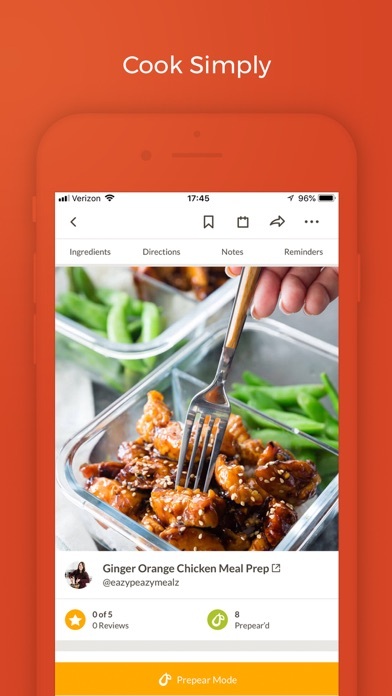 Best Recipe/Menu Planning App Out There! Count me in as a Prepear fanboy!! It’s rare that you can say that an app has changed the way you do things, but that is exactly the case with Prepear. It’s by far the best one out there that collects your recipes and handles your meal plans. I’ve tried a bunch of them - and this one handles what it does so efficiently and effectively. 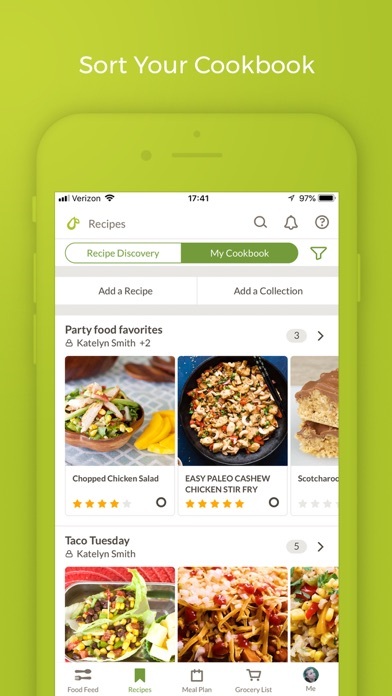 I’ve read a little about the developers, and the app was started by parents who were trying to figure out an easier way to handle meals, recipes, and groceries for their families - so it’s designed with an eye on being super useful and by people who are actively using this and trying to make it better. I’ve been pleased with the app updates so far, and look forward to what they have in store “coming soon”. Sure, it doesn’t have as many of the bells and whistles as other similar apps, but I didn’t find those nearly as intuitive to use - this one just plain works! Love the Prepear Mode when cooking - and the way it handles the pantry and groceries added from the meal plan is really smart. Menu planning is a breeze - and it’s really easy to plug in a menu planning service as well. I use Super Healthy Kids - and it’s changed the way my family eats. If you’ve got picky eaters like me, I don’t know of anything better out there. It’s a game changer. This is one of my most used apps by far, and I very pleased with it!